Dental problems shouldn't have to be suffered through in silence. Instead, find the support, respect, and quality dental care you need here at Allheart Dental. Our dental team works hard to foster an environment that pairs warmth and convenience with specialized skills that can help patients of all ages enjoy happier, healthier smiles. We welcome entire families! Along with our kid-friendly office amenities, our dental team is happy, gentle, and very familiar with the special needs of little smiles that are still developing. We do our best to promote friendliness, warmth, and trust so that our pediatric dental patients always feel comfortable and positive. Our check-ups and cleanings are careful, but thorough so that we can be sure to catch any possible signs of decay or developmental problems and treat them right away. Sealants, fluoride treatments, and many more treatment options are available as well if we deem them necessary to preserve your child’s oral health. 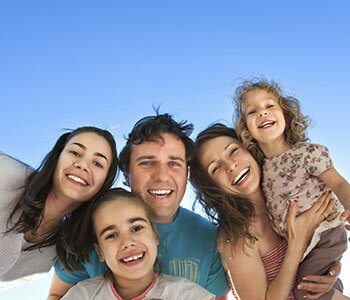 We can’t wait to establish your entire family on the path towards lifelong oral health! At Allheart Dental, your kid's comfort is one of our greatest concerns. There is no reason to be anxious before or during his/her visit. Our team can have him/her breathe in some “funny gas” (laughing gas, also known as nitrous oxide) if necessary to calm their fear of the dental visit and enhance effective communication. We understand very well how a child's first experience at the dentist can enormously affect how they feel about dental care for the rest of their lives. We don't take this knowledge lightly, by any means. Here in Red Oak, TX, our team’s goal is to give your child a warm, friendly, and fun experience with us every single time they visit! Although root canal treatment has earned something of a scary reputation over the years, the truth is that it can often be one of the best ways to relieve pain and swelling inside the mouth caused by cavities and a saving grace for patients who are struggling with severely decayed or damaged teeth. This transformative procedure can bring these teeth back from the brink of extraction and instead restore them to full health, allowing you to maintain a fully natural smile. A crack, deep cavity, or trauma to a tooth can cause the nerve to become inflamed and infected. Without treatment, patients can experience moderate to severe pain, swelling of gums and abscess, eventual tooth loss, and even damage to the surrounding bone. During root canal treatment, our Red Oak, TX dentist at Allheart Dental will create a small opening in the tooth, through which we will remove the injured/diseased pulp and dangerous bacteria. Once the inside pulp is thoroughly cleaned and sealed, we will complete the process with a permanent crown. Did you know that today, nearly 70% of the population suffers from some level of gum disease (also known as periodontal disease), but only 3 out of 100 will get treatment before it’s too late? In the very first stages of gum disease, gingivitis, you may notice redness, swelling, bleeding of the gums, and maybe bad breath. Gingivitis is the only stage that is reversible with daily brushing, flossing, and regular cleaning. Left untreated, it can escalate to a more chronic, serious bacterial infection. Once gingivitis has progressed to periodontal gum disease ("inflammation around the tooth"), the second stage of gum disease, damage to tissue and bone surrounding the teeth becomes irreversible. If it continues to get worse, gum and bone destruction can cause tooth mobility and tooth loss. Our dentists are very proactive in the treatment of periodontal disease because once bone and surrounding tissue are lost, they are gone forever. Through regular check-ups and cleanings at Allheart Dental, most people can prevent gum disease simply by maintaining good oral hygiene. However, if you’re already dealing with the presence of gum disease, we offer gum infection therapy (scaling and root planing) and more advanced treatment options. Wisdom teeth (also known as your third molars) are the last permanent teeth to grow in – in fact, most patients typically don’t experience their eruption until they’re anywhere from 17-25 years old. These teeth commonly erupt only partially or completely set in the jaw, causing them to become impacted as they develop, which could be damaging to your teeth alignment. In most cases, the earlier our dentists here in Red Oak, TX are able to inspect your wisdom teeth and remove them, the better. In order to protect the health of your smile, the approach Allheart Dental recommends is having wisdom teeth removed before they’re able to create dental problems in the first place. Much like a regular tooth extraction, our experienced Red Oak, TX dentists at Allheart Dental will be sure to handle the process quickly and safely so as to minimize any discomfort. Here at Allheart Dental, our Red Oak dentists strive to do whatever we can to ensure that our patients feel comfortable and satisfied with the state of their smiles. However, this can be difficult for patients who have lost several teeth. Thankfully, dentures are an inexpensive and reliable option that can restore both your smile and your sense of self-confidence. Allheart Dental creates customized dentures and partial dentures that are comfortable and affordable. They make it possible for people to feel good about their smile again! We can either replace an entire arch of missing teeth with a full denture, or a unique blend of gaps with a customized partial denture. Both of these devices are removable, making oral hygiene and overall comfort much simpler. You’ll be sure to enjoy both the renewed sense of oral structure and the natural, complete look your new restoration provides. We're happy to serve patients from Red Oak, Lancaster, Ovilla, Glenn Heights, Desoto, Waxahachie, Ferris, Arlington, Grand Prairie, or the Dallas and Fort Worth Metroplex and beyond. To learn more about our available specialty dentistry services, contact us at (972) 672-0896.